Quick and Simple Solution: A Glove! 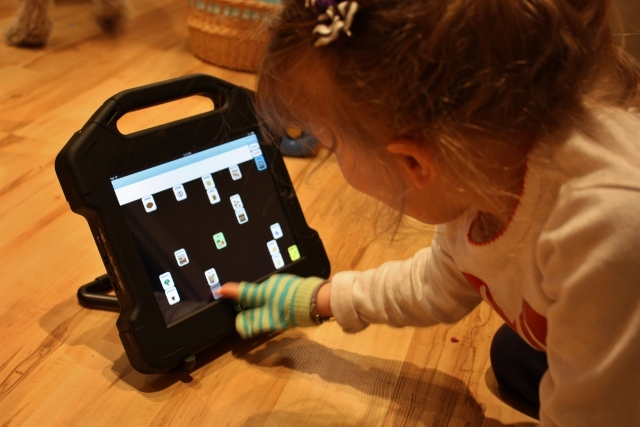 Touch screen electronics can be a great learning and communication tool, but if a child has difficulty isolating their index finger, they often inadvertently activate ads on the screen or make mistakes by tapping the wrong place, which can quickly become quite frustrating. Here’s a mom’s simple solution: take a child-sized glove and cut off the end of the index finger. The fabric of the glove will keep the other fingers and the rest of the hand from accidentally activating the screen. We have tried it here at the clinic and it really works. Great idea!